Brant Point Lighthouse at sunset. How could you not take a lighthouse photo on Nantucket? There are three major lighthouses, including Brant Point, Sankaty Head and Great Point, and any one of them would make for an opportune photo—but why not visit all three? For another iconic view, take a stroll down Easy Street, an appropriately named stretch of road notable for its relaxing nature and quaint harbor view. Cisco Brewers has it all, embracing the drink triumvirate of being a brewery, distillery and winery. This unique spot features three separate bars, sharing a common courtyard complete with various food trucks. It’s easy to spend all day here, but if you want to see another island staple, the Whaling Museum is the place to go. Located just a short jaunt from historic Main Street, The Nautilus is a bar and restaurant focused on the dynamic interplay between food and drink. This great spot is owned and operated by three young entrepreneurs, dedicated to combining their separate specialties—food, cocktails and wine—to make The Nautilus a true destination restaurant. Revel in the power of words with the sixth annual Nantucket Book Festival, hosting many talented authors. 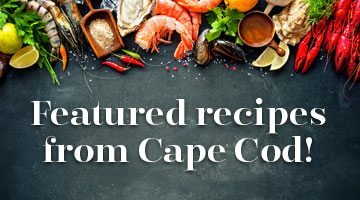 Also celebrate the spirit of the island with events like the Big Game Battle, an annual fishing tournament, and the Figawi Regatta, a three-day event including a premier sailboat race across Nantucket Sound and a charity ball.